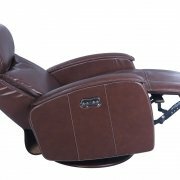 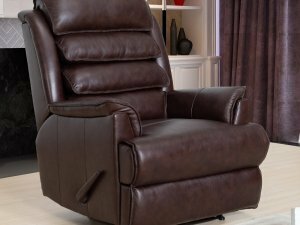 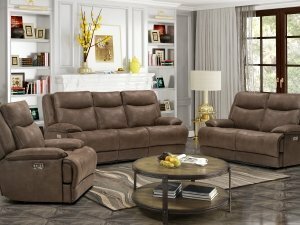 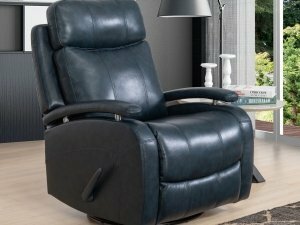 Dual power swivel glider recliner with power recline and power headrest, one touch memory preset and close buttons. 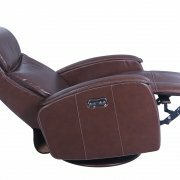 Pub back design with pocketed coil pad over chaise seating, capped radius arms with flat welt trim, and upholstered swivel base. 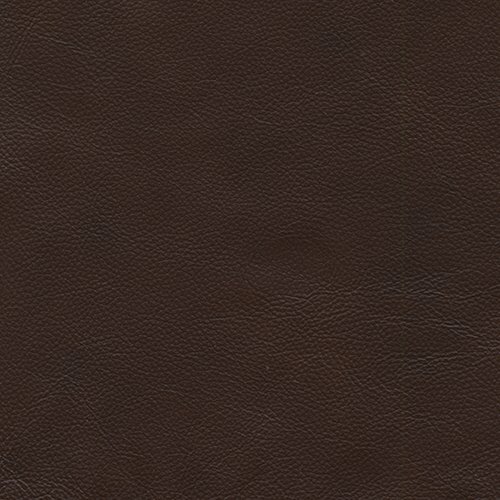 Covered in a top grain leather with leather match on the outside arms and back. 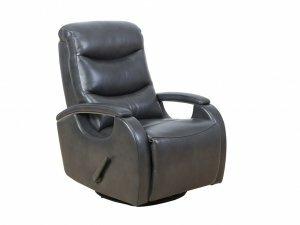 USB on power button.